How Far is Banyan Tree Retreat Plots? Welcome to Banyan Tree Retreat Plots, an enclave of plots for sale in Maheshwaram, Hyderabad, and a meticulous project by the top builders in the twin cities MAK Projects Private Limited. 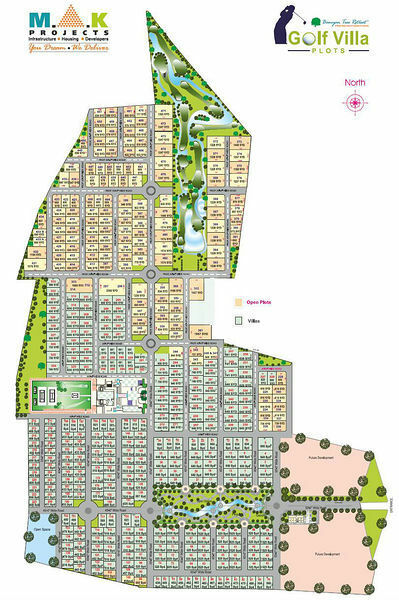 It offers you plots in the sizes ranging from 3600 - 5400 sq. ft. This project is located in one of the prime locations of the city and has easy access to other major parts of Hyderabad, by the means of road transport. Banyan Tree Retreat Plots is in close proximity to many of the famed schools, hospitals, shopping malls, public parks, and other recreational activities. If you seek plots in this locale, you must look into, Banyan Tree Retreat Plots as it is a perfect place to build your house and be closer to nature and equally be closer to the city. Surrounded by lush green landscapes, this project offers a great view of the surrounding. If you are a nature lover, you will surely fall in love with the place. Banyan Tree Retreat Plots is just the right option to build your dream house. Build your dream house and bring happiness to your family. MAK Projects is a renowned real estate company which is into Premier Infrastructure, Housing and Development Company and has a vision and promise of delivering innovation & excellence in a broad variety of fields. MAK brings the Group Philosophy to real estate industry by continuously raising its performance and constantly providing unmatched quality to the clients. The group has retained its status as one of the most professional, reliable, and accomplished property developers in the country. MAK Projects consistently delivers on its promises good value, perfect locations, excellent construction, and their project are comprised of MAK Golf Villa Plots in Maheshwaram, which offers plots for sale as well as Banyan Tree Retreat Plots in Maheshwaram which offers you ready to occupy plots for sale and MAK Luxury Villas also in Maheshwaram and it offers you lavishly designed 3BHK & 4BHK villas for sale. The Company has a team of highly qualified and experienced Managers & Engineers with unmatched expertise in property development, who are very much dedicated towards their work and feel passionate about fulfilling their client's dreams. The group adheres to international standards in everything it does; all the systems, infrastructure, and engineering employed by the organization are tuned to match the best.